Word search activity to practice the spelling of some vocabulary found in the classroom. 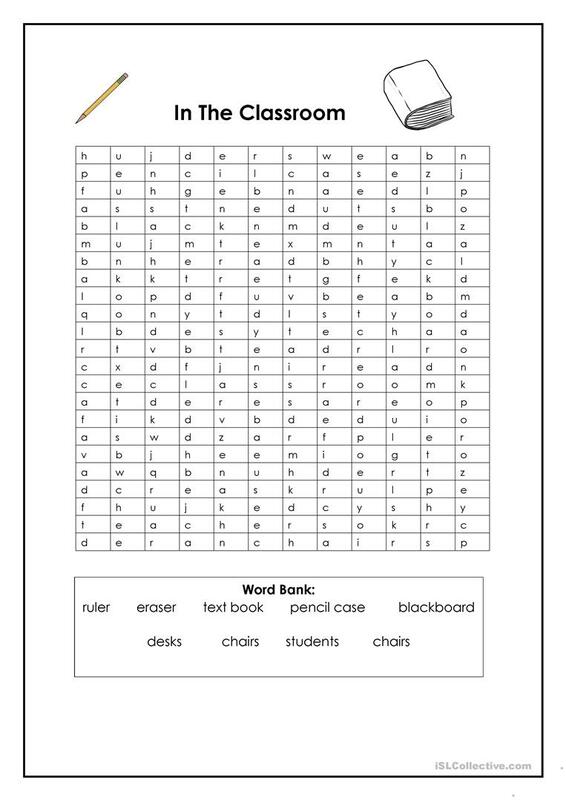 A simple activity that can be used ideally at the beginning or end of a class. The above downloadable worksheet is a great resource for elementary school students at Elementary (A1) and Pre-intermediate (A2) level. It is excellent for improving your learners' Spelling skills. It is about the topic and words of Classroom.